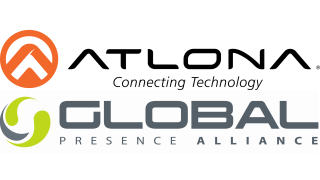 Atlona has been named the first Technology Partner of The Global Presence Alliance (GPA). The GPA is comprised of a select group of audiovisual, unified communications, and managed services solution providers worldwide, who have joined together to reduce costs, improve efficiency, and enhance communication for global clients. This new Technology Partner classification adds a third tier to the organization’s GPA Accredited Vendor Program (AVP), and widens the scope of the program to include a range of emerging technology manufacturers.